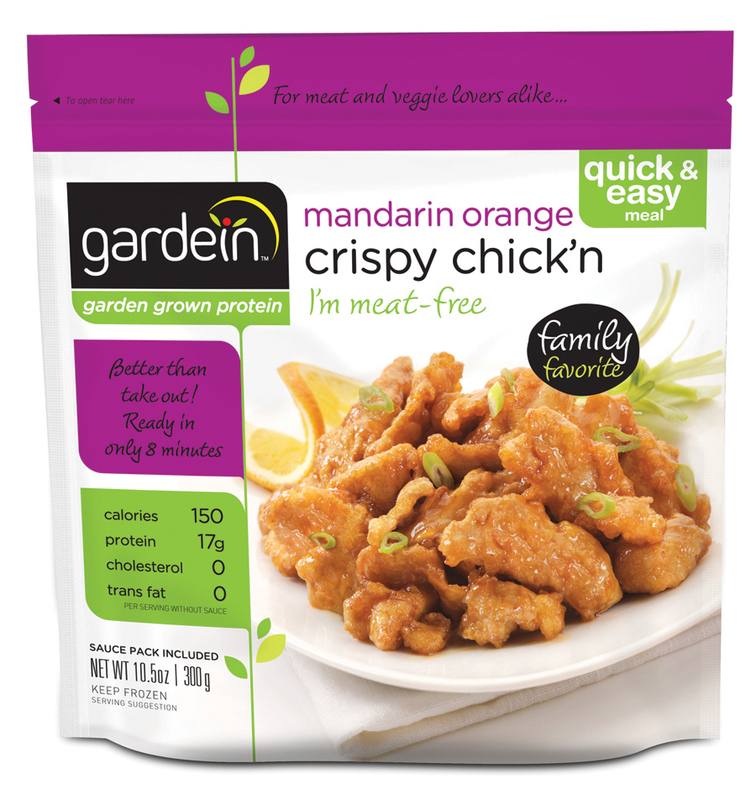 – Remove sauce pack from mandarin orange crispy chick’n and place in a bowl of hot water for 3 minutes to defrost. – Empty sauce into a bowl and stir in poppy seeds and vinegar. Set dressing aside. – Preheat oil a non stick frying pan over medium heat. Add frozen chick’n and sauté, turning frequently, until golden and crispy, about 6 to 8 minutes. Set aside to cool 2 minutes. – Meanwhile cut away peel from orange, cut into segments and place in a large bowl. – Add cooled chick’n, carrot, cucumber, slivered almonds and drizzle with some of the dressing. Toss together until well combined. – Divide among lettuce leaves and serve with remaining dressing alongside. 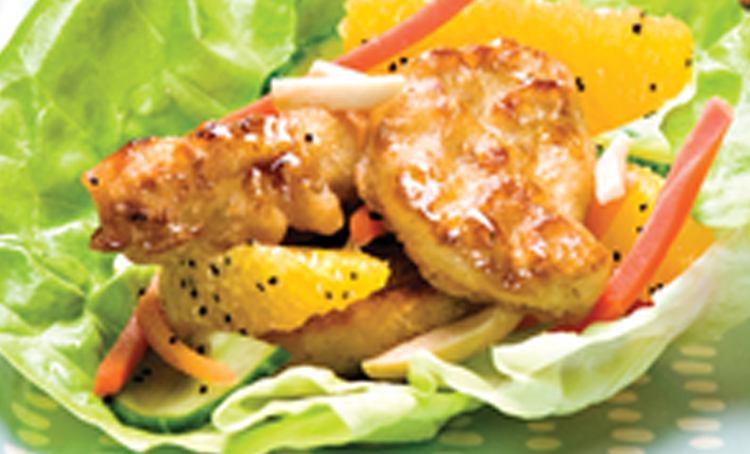 – Chef Tip: For another meal idea, serve the lettuce wrap filling over steamed rice.